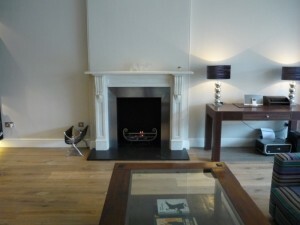 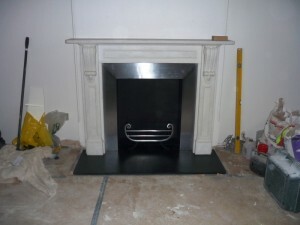 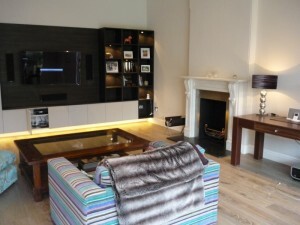 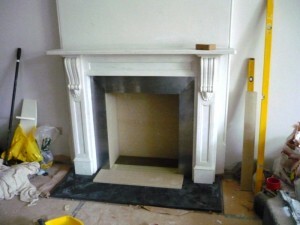 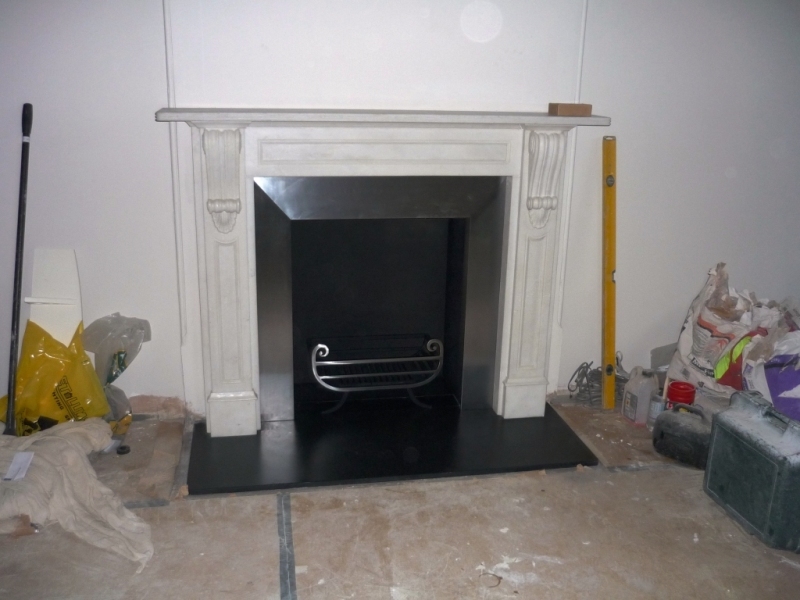 This fabulous marble fireplace project took place in a property in Wandsworth, London. These great clients came to us via recommendation from Qualitas Construction Ltd, who were doing an amazing extension for them. Their requirements were for three new fireplaces in the TV room, kitchen and bedroom. 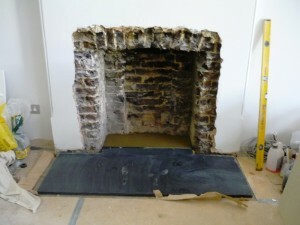 This particular fireplace project was in the kitchen. 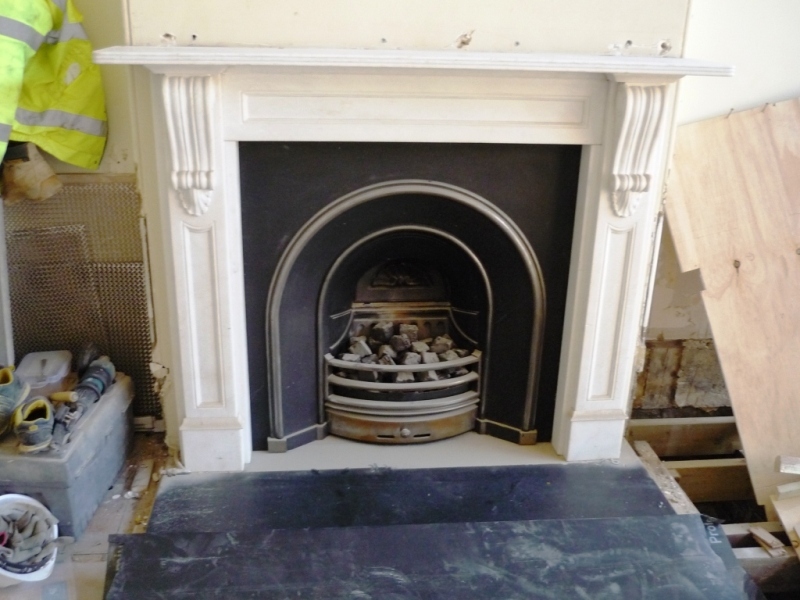 As the images show, the client already had an existing marble mantel ( the Chesney’s Buckingham with carved corbels) with a slate hearth and cast iron arched insert. 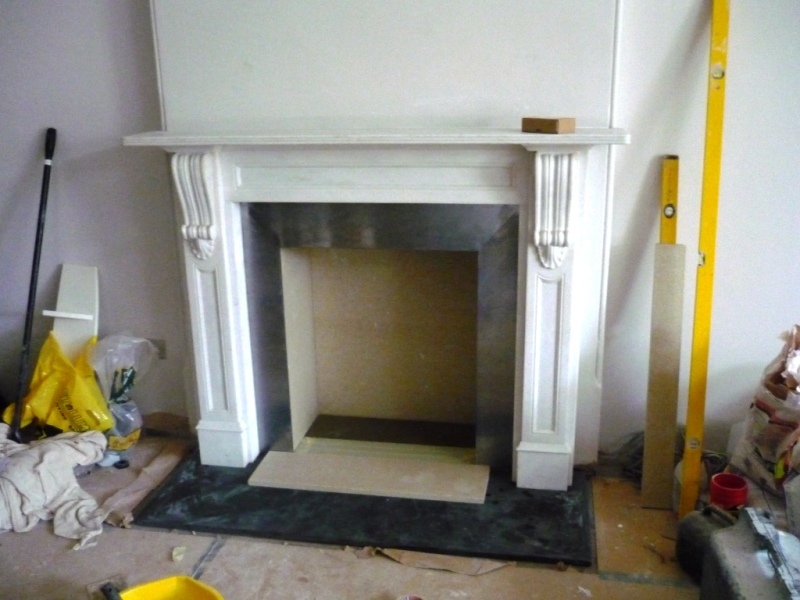 However, because they were adding on a contemporary extension to the existing kitchen and creating a large and very elegant living area, the clients wanted to upgrade the fireplace but retain the surround. 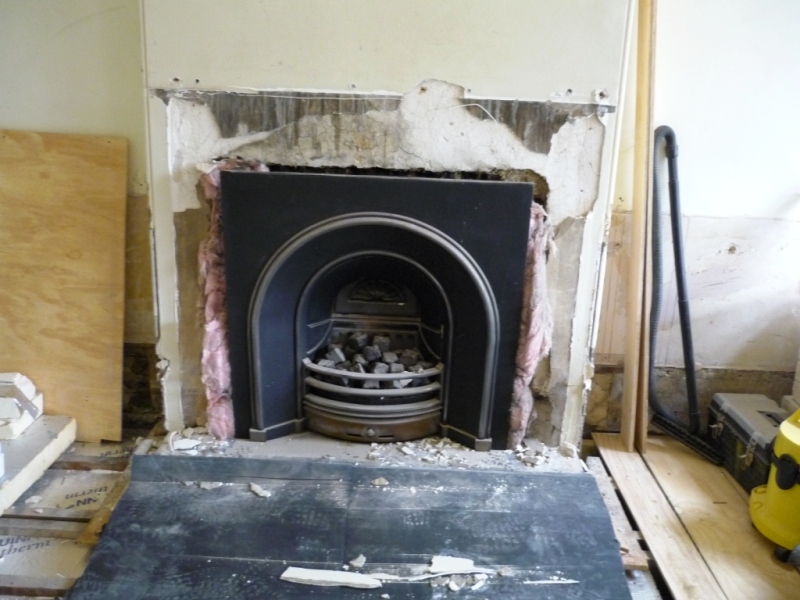 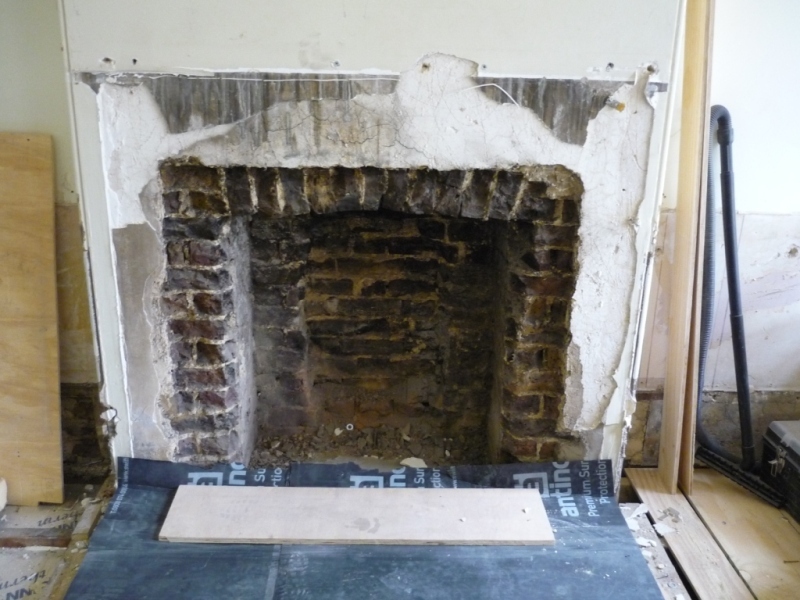 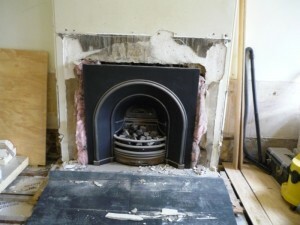 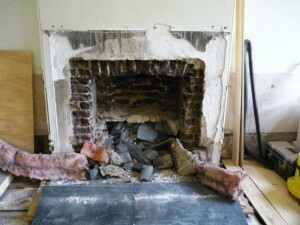 Therefore our first task was to very carefully remove the existing mantel, and to clear out the chamber. 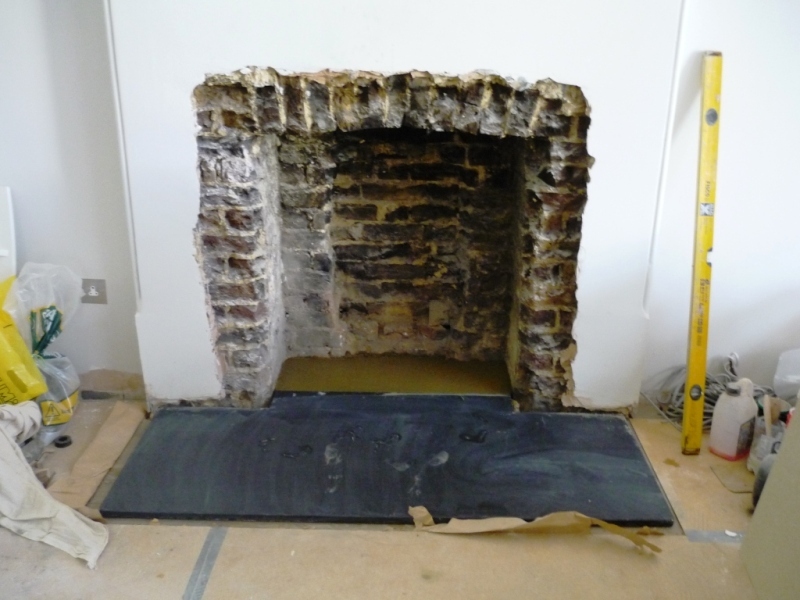 Then, we reinstalled the Chesney’s Buckingham fireplace and for the upgrade we added some steel slips, a fireboard chamber and a new basket. 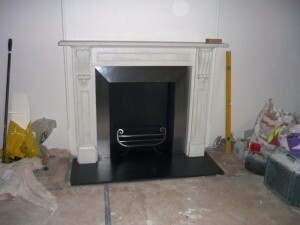 The fireplace will be an integral and beautiful part of the room and will be well used! 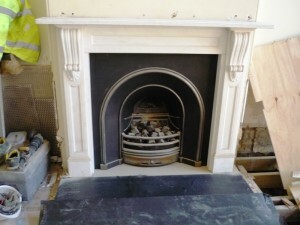 Do you have a fireplace you want to upgrade? Contact The Billington Partnership and we can help advise you.